As we covered in our first post in this series – Understanding the cloud – the cloud is a way to store and access data from anywhere using the Internet. If you understand email, catching on to the concept of the cloud won’t take much time. In this model, an external provider takes care of the cloud infrastructure and service so you don’t have to build and maintain your own cloud solution on-premises. You share that public cloud with multiple other users. Since the infrastructure is based entirely off-site, the service is deployed to your business over the Internet. Many businesses choose public cloud services because they’re quick and affordable to deploy. In fact, you can choose from dozens of ready-made public cloud service offerings and usually pay only for what you use under a monthly subscription. This is a very easy approach because all you have to do is sign up for an existing service instead of designing your own from the ground up. Additionally, public cloud services tend to be very scalable so you can easily adjust the type and amount of cloud service as your needs evolve. A private cloud model is generally exclusive to your organization, which makes it highly flexible because it can be tailored to meet your organization’s specific needs. However, it can also be more expensive than other alternatives. Because your organization would need to pay for the entire service, you’d also be responsible for investing in any required infrastructure and technology upgrades. Organizations in highly regulated sectors like healthcare, finance or law often choose a private cloud model for their services to ensure that they’re in compliance with industry and government regulations that are applicable to data security. As evident in its name, the hybrid model lets you tap into the benefits of both private and public cloud solutions. For example, your organization might use a private cloud for predictable applications but tap into a public cloud to cope with usage spikes or seasonal increases. Hybrid cloud models are also ideal for organizations that want to take advantage of the low cost and flexibility of the cloud while still leveraging their existing investments in on-premises technology until the technology reaches end of life. This overview touched briefly on some of the main features of each delivery model to help you gain a bit of insight into which model may work best for your business. However, it’s important to keep in mind that the cloud is constantly evolving and expanding, and so are the boundaries defining the major three models outlined here. 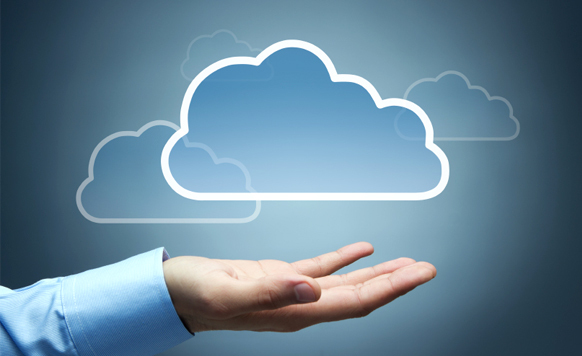 In our next blog post on the cloud, we’ll outline specific ways that the cloud can benefit your business. In the meantime, if you’re interested in finding out more, Bell offers cloud-based solutions for every size and type of business, and can also be an expert resource to answer your questions and help guide your company into the cloud – whichever model you choose.